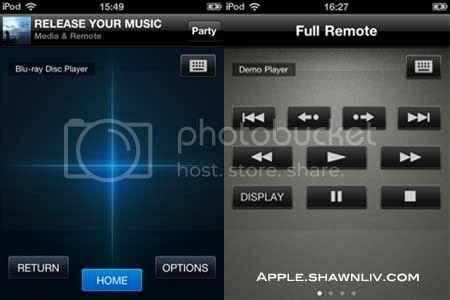 “Media Remote(BD Remote)” is an App designed to let you take control of some of Sony’s latest Blu-ray/TV/AV Receiver Products. Check the Sony website for a list of compatible models. The app is not designed to work with PlayStation®3 or older version Blu-ray/TV Products. A demo of the features is included to let you try before needing to connect the devices, select “Demo Player” from “Settings”.